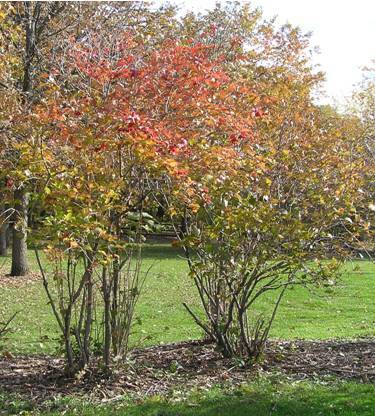 Highbush cranberry is a moderately fast growing shrub whose dark green leaves turn bright red in fall when grown in sunny locations. It can reach a mature height of 15'. This shrub is highly recommended by the DNR. Highbush cranberry holds its fruit all winter providing much needed winter food for wildlife. It is moderately tolerant of shade, intolerant of drought and grows in a variety of soils. Wildlife Food & Cover:Excellent food - nectar, fruit, browse, grouse, pheasant, songbirds. Fair cover-nesting, escape.